← WIAW~Where Have I Been? Strange But Good~You Really Did That?? Good Morning! 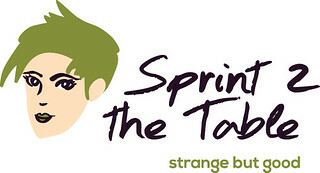 I’m excited to be back with the Strange But Good crew that gathers over at Laura’s Sprint 2 The Table. I feel so at home with anything that includes the word Strange! I’m always finding food in my fridge that I forgot was in there. Most of the time whatever I find is unrecognizable and only good as a science experiment. Not so with dried things apparently. I found a container of prunes that I forgot I had. Now, I think most of you are probably turning your noses up right now, but don’t. Spending so much time with my Grandmother, prunes or “pru-ins” as she called them, were a staple around the house. They’re good for you-lots of fiber and potassium. I gave her recipe for prunes once before and if I could find the post I’d link it. I’ll do some searching and link it up soon. So there I was with prunes that I figured I should probably use up and breakfasts I needed to eat. 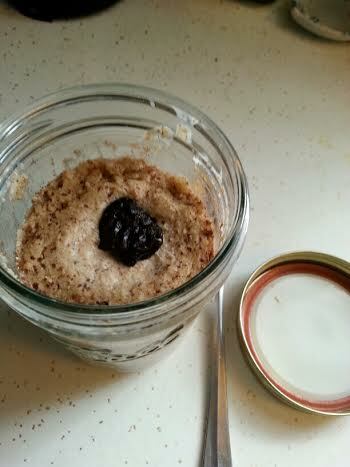 First one was prune overnight oats. I chopped up 4 or 5 prunes. I mixed a 1/4 cup each of oats and oat bran, 1/3 a cup of fat-free vanilla yogurt, cinnamon and 1/2 cup of Almond Breeze unsweetened. I recently found out that 1/2 cup of this counts for 0 Points on Weight Watchers. I have to verify that with my WW leader but I’m pretty excited. I love to save a point wherever possible! I know that a lot of people like their OOIAJ cold, and I have eaten it that way, but when possible, I like to warm it. I do 1 minute 30 seconds in the microwave. This was really tasty and I could taste the prune-y goodness. I’ll do this again when there’s no fresh fruit available. My next adventure was a prune smoothie. I had to think ahead a little bit for this one. The night before I chopped up again about 4 or 5 prunes. I poured 1/2 cup of Almond Breeze over them and put them in the fridge overnight to soften them. Next morning, I added another 1/2 cup of the Almond Breeze, 1/3 cup of fat-free vanilla yogurt and 2 scoops of protein powder. 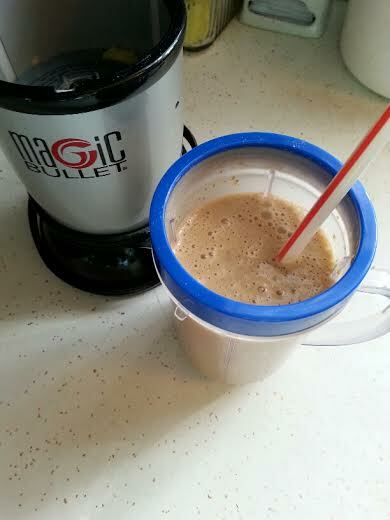 I whirred it up in the Magic Bullet. It was delicious! The soaking was a good idea and next time, I do need to blend it a little longer. The prunes needed some more spinning time. I had a lot of prune chunks sticking in my straw! Regardless, it was great and it made me think of my Gram. I will be trying both of these again. That’s Strange But Good for me for this week. Be sure to check out the other strange people who hang out over at Sprint 2 The Table. I always get great ideas there! This entry was posted in Uncategorized and tagged OOIAJ, Strange But Good, Weight Watchers. Bookmark the permalink. a girl can never have enough pru-ins!